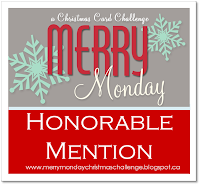 Today I have a card to share with you that I entered into the Just Us Girls Challenge for this week. It was a color challenge and I couldn't resist trying out some new stamps and dies. The new Delicate Ornament Thinlits dies are so cool. I pre-ordered the new Precision Plate for the Big Shot and it makes it super easy to cut out these intricate designs. No more wax paper for this girl! The color challenge was to use black, red, and gray so I went with Basic Black, Real Red, and Smoky Slate as my color combo. 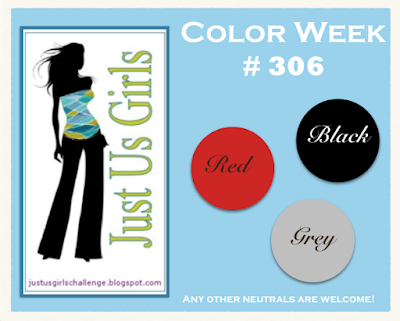 If you click on this image it will take you to the Just Us Girls Challenge blog where you can check out all of the fun inspiration for this color combo! Here is a close up of the ornament. Can you see all of the fun new products used? Gorgeous ornament, and it looks great in our stunning color combo this week. Thanks so much for joining us at Just Us Girls! So pretty. And Christmas is really only around the corner. 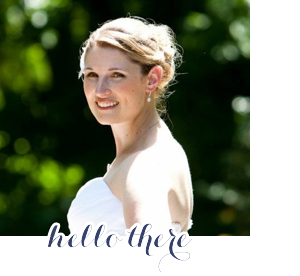 Looks fabulous in our colours for this weeks challenge over at Just Us Girls. Thanks for joining us. That red foil on that ornament is stunning! Beautiful design. Thanks for playing with us at JUGS!